The market closed in positive territory for the seventh consecutive week. It has achieved my short term targets levels, as expected, last week. 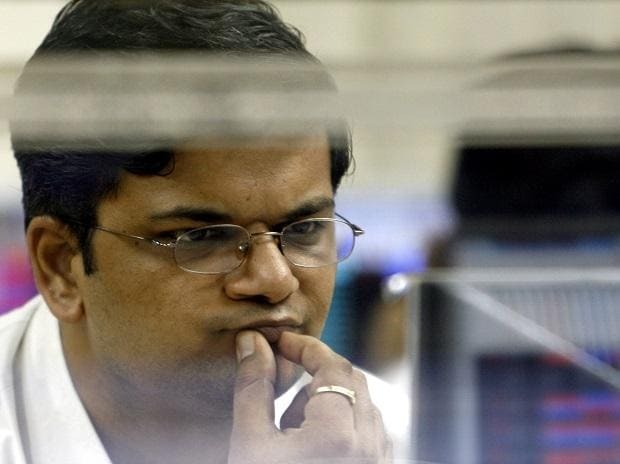 It has made a high of 11,761 levels on the Nifty & 39,270.14 levels on the Sensex so far in this rally. In the short term, wave-III of 5 Extension case towards revised higher levels targets looks like a high possibility. On the other hand, any failure to extend from here will open up the possibility of consolidation range on the Nifty between 11,300-11,700 levels in short term but any kind of decline or consolidation is buying opportunity till short term reverses. The short-term outlook for the market remains positive till Nifty trades above 11,118 levels and we are expecting targets in the range of 11,700 levels in the short term. The medium-term outlook for the market remains positive till Nifty trades above 9,951 levels and we are expecting targets in the range of 12,500-12,800 levels in the medium term. We saw the start of further participation from broader markets this week. Midcap & small cap indices closed weekly in positive territory. The participation from the broader market (particularly midcap & small cap indices) from the last couple of days is a good sign at current levels of the market. It has to catch up now for further confirmation of the overall trend of the market. It looks like a high possibility end of this divergence at the recent bottom and from now onwards, we will get broader market rally for higher levels targets in the short-to-medium term. And, eventually, midcap & small cap indices will also make all-time high in this calendar year. Risk Reward is favourable to BUY stock specific at current levels of the market. BANK NIFTY closed weekly in positive territory. It has also achieved my short term targets levels near recent high. It made a high of 30,915.70 levels so far in this rally. It looks like also wave-III of 5 extension case on Bank Nifty in the short term. 27,000 levels are strong support on Bank Nifty, and, till it holds, one can expect higher levels targets until 32,500 levels in the short term. On the other hand, failure to extend from here will open up the possibility of consolidation range on Bank Nifty between 29,200-30,900 levels in short term but any kind of decline or consolidation is buying opportunity till short term reverses. 23,600 levels are strong support for medium-term perspectives, and, till it holds, one can expect higher levels targets in the range of 34,000 levels on medium-term perspectives. 11,500 & 12,000 levels are strong support & resistance levels, respectively, based on option open interest data for expiry perspectives for current month series. Any kind of such short term correction or consolidation is a stock specific buying opportunity for medium-to-long term investment perspectives till medium term reverses. Momentum indicators Daily KST is in SELL but DAILY MACD is in BUY, supporting short term trend of the market. One should be stock-specific and follow the trend with trail stop loss levels until it reverses. Risk Reward is favourable to BUY at current levels of the market. Close below short term reversal levels will lead to sharp correction till 10,300 levels on Nifty and 34,400 levels on Sensex in short-term. NALCO closed weekly in positive territory. It's consolidating in thin range for the last two weeks. Its weekly momentum indicators are in BUY. It has managed to hold crucial support of 20 DMA. Risk Reward is favorable to BUY at current levels. One can buy with a stop loss of Rs 53 for the target of Rs 59.50/63 levels in the short term. JSPL closed weekly in positive territory. Its daily momentum indicators are in BUY. It has managed to hold crucial support of 20 DMA. Risk Reward is favorable to BUY at current levels. One can buy with a stop loss of Rs 172 for the target of Rs 198/206 levels in the short term. JSW STEEL closed weekly in positive territory. Its daily momentum indicators are in BUY. It has managed to hold crucial support of 20 DMA. Risk Reward is favorable to BUY at current levels. One can buy with a stop loss of Rs 285 for the target of Rs 305/310 levels in the short term. TATA CHEM closed weekly in positive territory. It has broken out of consolidation range. Its daily momentum indicators are in BUY. Risk Reward is favorable to BUY at current levels. One can buy with a stop loss of Rs 588 for the target of Rs 640 levels in short term. TATA GLOBAL closed weekly in positive territory. It has managed to close above 20 DMA. Its daily momentum indicators are in BUY. Risk Reward is favorable to BUY at current levels. One can buy with a stop loss of Rs 202 for the target of Rs 219/223 levels in the short term.